Is your kid using a Jumpy, the smartwatch for kids? Smartwatches are the latest trend in wearable technology. But smartwatches for kids are doing it quite well in an innovative way. Jumpy is one such brand who takes care of your kid's safety, health, activities and whereabouts. Parents with kids of 5-8 yrs age group may find it quite attractive and useful. But before you give it a try, just stumble upon here for a few minutes to know, how will things change if you use one. Have you Heard about Jumpy? Right now Kids' Safety has become one of highest priority, when surrounding bad news are all darkening our days with fear and anxiety. If your kid is within the age group of 5-8, then things become even more difficult for you, as you don't want to cut short their days of exploration, fun and frolic. On the other side, things are not that safe around, and nuclear families aren't blessed with a host a care givers, whom we can rely upon. Even neighbors today are mostly unknown, and we elders in urban localities don't find time for much interactions with them. Even if we can, we still carry a heavy load of doubts and insecurities, when they go out of sight and wonder whether our little ones are there in a safe zone. As always, technology comes as our dear friend, when our fellow beings aren't right there to give us a helping hand. These are the smartwatches that comes under the wearable gadgets. 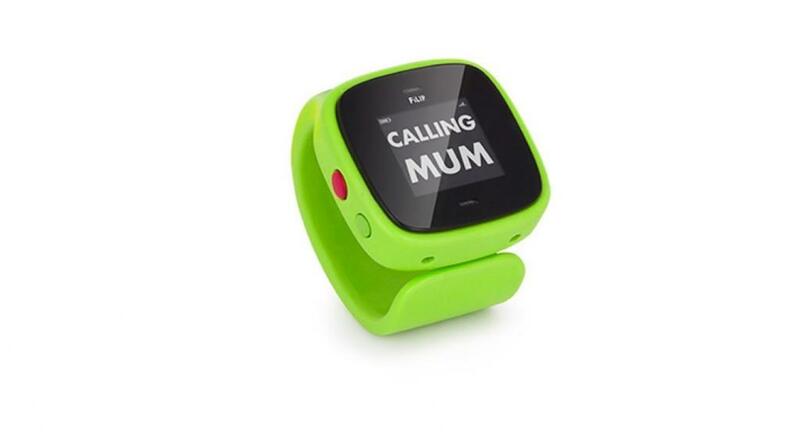 The latest smartwatches have now included a number of specially made smartwatches only for kids, that would help you be in touch with your kid virtually. You get to know her location, her state of health and do much more. I was just looking for one as it appeared to be quite a good idea for today's parents, when I came across this smartwatches called Jumpy. The name and the look appeared to be quite attractive and I was just going through the details to know, how helpful it might turn up for me and my 6 year old kid and thought of sharing them with parents who are equally anxious like me. 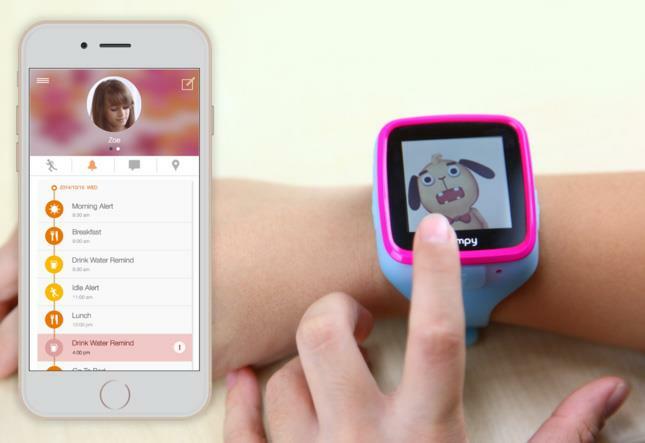 Jumpy is an exclusively designed smartwatch for kids for the age group of 5-8 from the house of Joyray tech. The watch works both with iOS and Android devices and also gets connected through Bluetooth based on the motion sensing technology which lets it interact with other Jumpys, iPhones iPads, and other smart toys with Bluetooth. Jumpy came within my first few choices when I came to know that it does not only help us keeping an eye on our kids activities, but you can also make it work as a daily activity reminder, a messaging tool and a wrist controller for Bluetooth toys. When it comes to kids' collection, we parents become greedy and want an all-in-one solution for everything. The developers of Jumpy from the Joyray tech understood this and have combined the gadget with a good set of educating stuff along with entertainment through its pre-loaded educational gaming applications which are even quite tempting for elders. This app connects your set of Jumpy with other Jumpys which are compatible with applications on iOS devices. The core unit of Jumpy might look similar to that of the ARK Reactor of the Iron Man. You can detach it and make it stand alone because of its smart module which works as the key factor of the watch. Even after removing it from their wristbands, kids can play with its compatible interactive games and apps with their friends or parents on iPads. Jumpy is almost like a pet your kid will love. It becomes a virtual dog named Chubby who can talk to them and also makes funny gestures like any normal dog. To monitor your kid's daily activities, this virtual dog will also remind your kid to drink good amount of water, prompt him to do what has to be done next and gears him up to get active. Jumpy knows that kids' world is all to do with colours. So it has coloured itself with vibrant colours that drive kids crazy. You can choose your Jumpy in Clobberin' Orange, Capitan Blue, TMNT green, or a cute Barbie Pink. 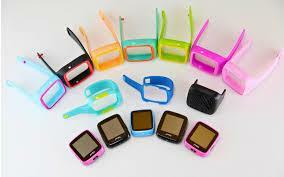 The watch band is changeable and one can choose from the colour range that goes with your kids' choice. It has a 1.6 inch touchscreen that makes everything clearly visible. Jumpy is safe, Jumpy is active and Caring. It keeps watching the location of our kids; it takes care by prompting him to take her lunch, drink water, go to sleep and wake up for the next activity. It entertains the kid, it educates her and makes her laugh. It is a useful gadget for kids who are single and alone at times. It is a helping hand for the current generation parents. Jumpy is good no doubt, but too much of dependence on gadgets deprive the kids from the human love and care which they need the most. A continuous touch with electronic wave can harm his overall health. Good for occasional use, but a continuous usage can make it monotonous. Today, we cannot walk backwards when technology has become a part and parcel of our life. But we need to remember that extreme of anything is bad. While we can surely make technology a tool for safety and use it for helping ourselves in some menial tasks, we cannot expect our kids to be happy and growing, just because we got her a set of smartwatch like Jumpy. With pun intended, we cannot jump our responsibilities in exchange of a set of Jumpy on those small wrists, when they want us to hold them by it. The Sony SmartWatch is introduced by Sony which is a classy android watch brings the latest technology to your hands. Read this article to know more about this Smartwatch. The XElectron M998 is counted as the cheapest watch phone in India and it is going to become a trend in 2013. Because of the lower cost, it does not have 3G or WiFi but it is equipped with all the basic features include a camera, Bluetooth and USB port. Read the review and know more of the features. Pebble e-paper smartwatch comes with pre-installed iOS and Android apps that supports connectivity in these platforms. Read more about this wonderful device in the article. A review of Motorola MOTOACTV. Read on to learn more about this amazing gadget that goes around your wrist. A good innovation indeed, but with a question. Is it good for the kids to be so much dependent on the gadgets and gizmos? It could give rise to several issues later. A few of them could be lack of feeling of love and affection. As far as my experience goes (with my son), they crave for the parental interaction with them more than what these gadgets can offer them. Well, too much of anything could be bad. Having said that, I guess it is a good gadget if you handle with care. That is what I have written in my conclusive statements. Hope you have not missed them out.